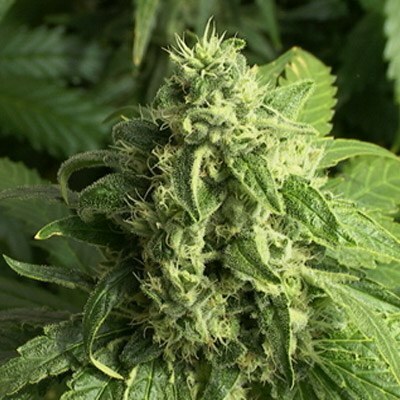 Hawaiian Snow Feminized is a 100% Hawaiian Sativa strain that produces about 3 times the amount of a typical haze strain. It's famous for it crazy high that will fully trip you out, make you shake you head and wonder how the hell cannabis could ever make you that high and for that long. It's also famous for its longevity. 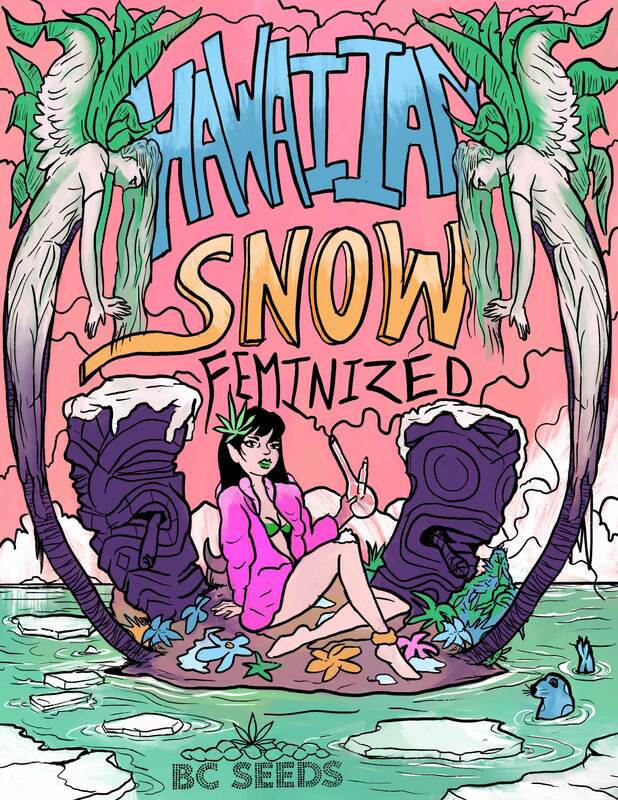 Just when you trip out and you had enough, Hawaiian Snow would let you down for 8-10 hours. It's one strain that every person should try at least once in their lives. We're breeding her to reach World's Strongest Strain status soon. Super-sticky buds, with a great hazy smell and taste. 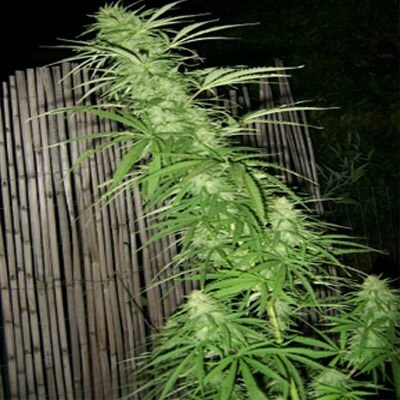 It took 1st prize, and boasts a monster THC content and massive yields up to and beyond 900 gr/sqm. With over 28% THC, this is the most popular haze strain available. Powerful creative high and a delightfully smooth stoned feeling. 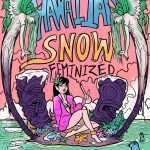 I am a journalist writing an article on BC Seeds and we just smoked some of their newest stabilized Hawaiian Snow, it is not a smooth controlled buzz at all, I am completely out of my mind. It’s racing so fast I have never been this high before in my life. Oh My God this is so awesome, I swear it’s laced. But seriously I’ve never ever felt this messed up before. This buzz is nothing like smoking pot. I can’t believe this. The owner is still sitting here with me smoking it, he smoked so much and he seems fine. I heard rumors the staff at BC Seeds toke it up from morinng till evening, but I’ve never saw anyone smoke so much cannabis in a day. Canberra order got here in no time. I use this strain everyday after Lunch to get me motivated.